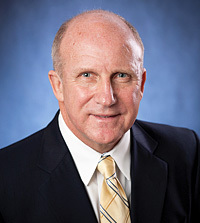 In an interaction with SP's Land Forces, Mike Alvis, Vice President of International Business Development, ITT Exelis, said that export controls by the US Government are expected to ease in the next five to ten years, making more high-tech goods exportable. India's desire to become an exporter also provides opportunities for partnership, which did not exist before. SP's Land Forces (SP's): Can you indicate on your immediate plans for India and cooperation with Indian Armed Forces? Mike Alvis (Alvis): As the Indian defence market continues to grow, it will be critical for companies to demonstrate their ability to deliver affordable, mission-critical solutions to this region. In India, we are positioned to provide products and services that are fully integrated and networked, enabling our Indian customers to protect their borders, enhance their military forces and have access to the full spectrum of information needed to meet any mission. 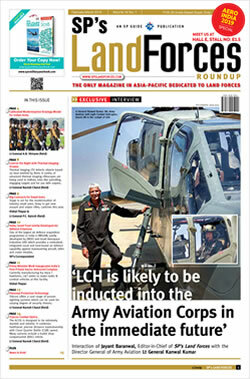 SP's: What capabilities did you showcase during Defexpo 2012? Alvis: Our focus at Defexpo was on highlighting our broad array of night vision technology, intelligence, surveillance and reconnaissance (ISR) and spectrum solutions as well as tactical communications (networking, waveform development and high capacity data solutions). We showcased a wide range of technologies that reflect our strong portfolio in C4ISR, including our commitment to providing the battle management system (BMS) for India. 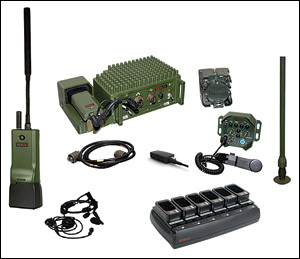 The BMS solutions highlighted at Defexpo included SpearNet and high capacity data radio (HCDR). Image intensification night vision goggles were also on display at the show. SpearNet is an innovative communications system, bringing voice, situational awareness and networking access that leverages our extensive waveform development expertise and surpasses traditional point-to-point communication system limitations on range and data rate. HCDR delivers the flexibility of a mobile network. This means the data network is always available—even on the move at high speeds. HCDR is the only radio of its kind, creating a communications backbone for messaging, Internet and situational awareness, supporting mission-critical on the move operations. This battle-proven radio provides high-speed data information between maritime, ground forces and air support. Exelis has the ability to provide the militaries with premier vision-enhancing solutions. As the world's leading manufacturer of Generation (Gen) 3 image intensifier (I2) technology, Exelis continues to work with customers to expand night vision and vision enhancing capabilities, technologies, and resources. At Defexpo India, we displayed our latest i-Aware Tactical goggle. i-Aware Tactical has the ability to transmit and receive real-time video, photos, mapping information and other important battlefield information. The benefit of i-Aware Tactical is enhanced situational awareness, rapid decision-making and improved mission effectiveness. SP's: Any important milestone/event that would project your company's interest in India strongly? Alvis: In March of 2012, we announced a strategic partnership with TATA Advanced Systems to assemble night vision Gen 3 goggles in India. Under a memorandum of understanding, Exelis and Tata will partner to supply manufacturing capabilities in India, maintenance and life-cycle support for Gen 3 night vision products. To start with, Exelis will provide TATA with the latest Gen 3 night vision image intensifier tubes, kits and other materials required to build night vision devices in India, to expedite the delivery of the systems to customers in India. This will be followed by manufacture of high precision components and sub-assemblies of the devices by Tata. We are looking for other strategic partnerships in India and believe that such partnerships enable us to deliver the best possible product to the Indian Government. SP's: How would you rate the potential in India versus other Asian countries? Alvis: India has a million-person Army and Asia is the second fastest growing economy in the world. Today, India is empowered with significant buying power. India also has internal threats and challenges on their borders that require high-end solutions. SP's: What kind of future do you foresee with India in next 10 and next 20 years? Alvis: India will be near the top of the world's strongest economies and most modern militaries within the next 10 to 20 years. The strategy of non-alignment provides a more level-playing field for the US companies and the ambition for high-technology solutions also favors US companies. Export controls by the US Government are expected to ease in the next five to 10 years, making more high-tech goods exportable. India's desire to become an exporter also provides opportunities for partnership, which did not exist before.